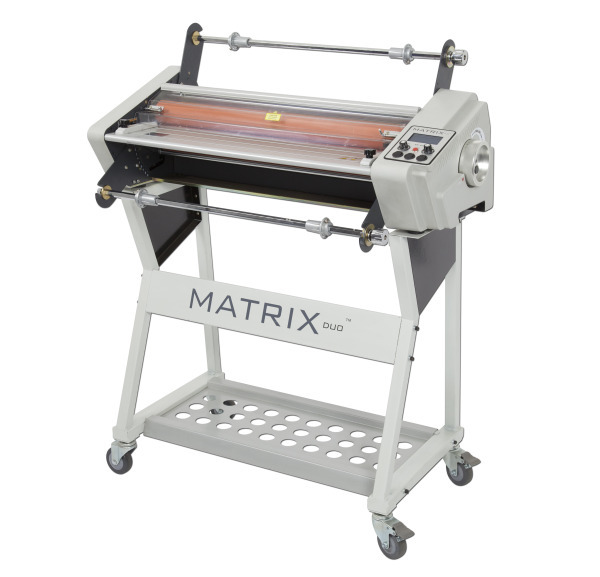 The Matrix Duo 650 hot roll laminator/encapsulator is the A1 version of the ever popular Matrix Duo 460 laminator. Versatile and cost effective, MD650 laminator enables you to laminate business cards and encapsulate A1 posters too! For a very reasonable cost outlay you can take control of all your short run lamination work and ensure a quick turnaround, high quality result every time. Integral anti curl bar ensures a flat result when single sided laminating.